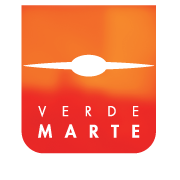 Verde Marte — What does Verde Marte mean? What does Verde Marte mean? The worst part of living in Spain is bureaucracy, the country is full of civil servants who start from ‘the answer is no, now what is your question?’ So when I was starting the company my lawyers said they had a client with a dormant company and all we had to do was go the notary sign some paper, exchange documents and for €100 it was done. The alternative was shedloads of paper work and expense. In a previous life Verde Marte was a clothing design company owned by a very pretty, hippy. It didn’t work out so she parked it. On the day we exchanged she said ‘what are you going to do with the name?’, I asked her what why she chose ‘Green Mars‘ as a name, she shrugged and said maybe there is life out there and asked me not to change it. So I didn’t. The good thing about the name is that people don’t forget it.